Sometimes you pick up a watch and just makes sense. You hold it to your eye, consider the specs, mull over the price, slip it on your wrist and say, "Oh, of course! Why didn't I get this sooner?" 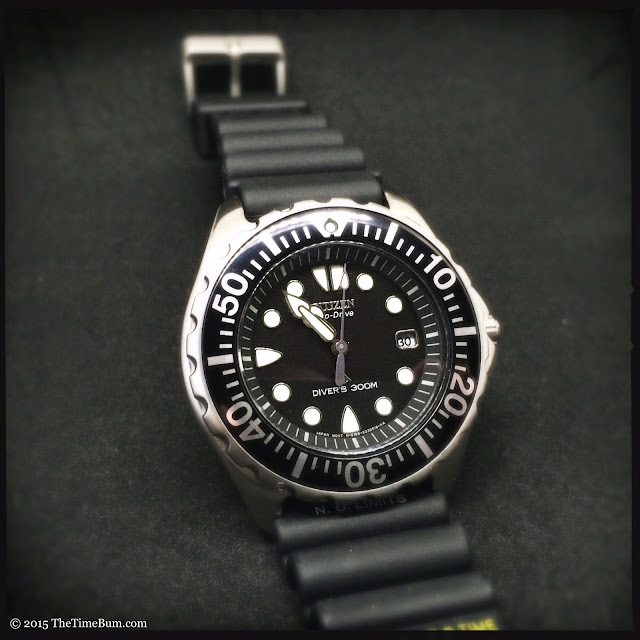 The Citizen Eco-Drive Promaster Diver BN0000-04H reviewed here is one of those watches. It is inexpensive, durable, and has a brilliantly executed design. The only thing it lacks is a catchy name. Really, watch forum folks love naming things. How is it possible that no one has cooked up a nickname for a watch that is so popular, and so cool? 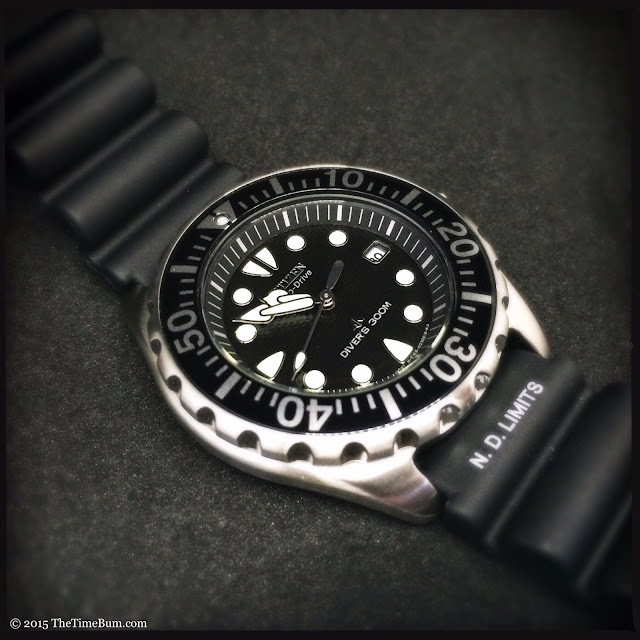 The -04H is a mid-size, 300 meter dive watch that lists for $275. As Citizen aficionados will have gleaned from the name, it is solar powered, using Citizen's E168 Eco-Drive quartz movement. While we all get a bit misty over mechanical dive watches, quartz really does make more sense given its high accuracy, anti-magnetic properties, and shock resistance. When fully charged, you can expect 6 months of service. Low charge is indicated when the second hand skips two seconds at a time. 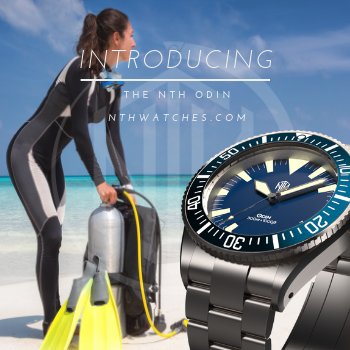 The Promaster designation means it is a true diver, meeting the strict ISO standards. 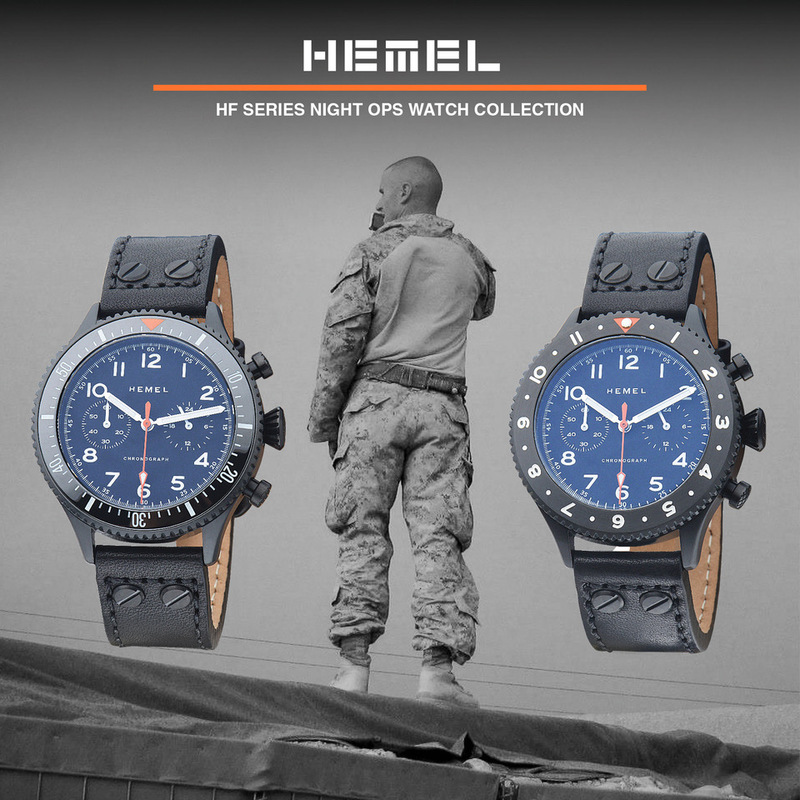 The most interesting aspect of the watch is its case. Citizen lists it as "screw back" on its site, but this is not quite accurate. Flip it over, and you will see a globe illustration, marvelously detailed and crisply rendered as we have come to expect from Citizen. What you will not see, is any lip, notch, edge, or other possible entry points. This is a monocoque case; a single, sealed unit. The only way in is through the front. Obviously, this makes service access more difficult, but Citizen claims the Eco-Drive storage cell should last a "lifetime." More specifically, they project a 20 percent loss of capacity after 20 years, so as a practical matter there should be no need to crack it open at all. The monocoque also has the distinct advantage of eliminating the rear seal and its potential for leakage. When I examined the case, I found myself turning it over in my hand, running my fingers over the brushed surface and smooth edges. It is a soft shape, flowing down to the lugs and rolling outward to seamlessly integrated crown guards that envelop the 3 o'clock, screw down crown. There are no sharp corners or hard edges. 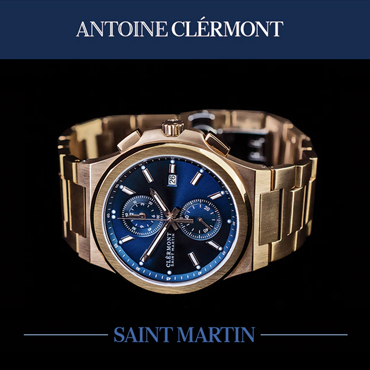 As a result, it is quite comfortable on the wrist and appears to wear smaller than its 41mm diameter might suggest. The unidirectional timing bezel is similarly smooth with notches deep enough to afford a positive grip. The bezel moves easily and provides a surprising degree of feedback, snapping into each of its 60 detents with a loud click and solid, mechanical feel. It has a printed aluminum insert with a recessed lume pip. It sits just a tiny bit higher than the flat mineral crystal, providing some additional protection from chips and scratches. The dial is small and surrounded by a black chapter ring. Eco-Drive collects light through a solar panel under the dial. On the surface, it is glossy black and waffle textured. 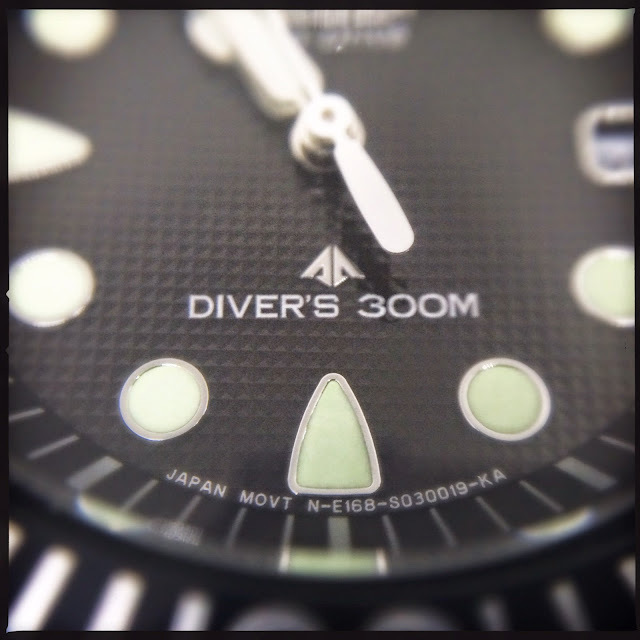 The dial is very much what one expects of a traditional diver. The hands are markers are treated with luminous material that appears greenish white in daylight and glows bright green at night. Markers are applied and polished, as are the Citizen brand and Promaster arrowhead logo. The triangular shapes at 12, 6, and 9 are softer than usual; their rounded corners picking up on the contoured case. This design motif is repeated in the shape of the hands, right down to the ovoid counterweight on the second hand. The hour and minute hands are arrow shaped with bulbous arms and separately rendered heads that create a unique, organic... Umm... Ok, I'm just going to come out and say it: they look like some kind of weird elf penises. It's not that they are unattractive hands, but once you see it, it cannot be unseen. On the bright side, I think I just came up with its nickname. 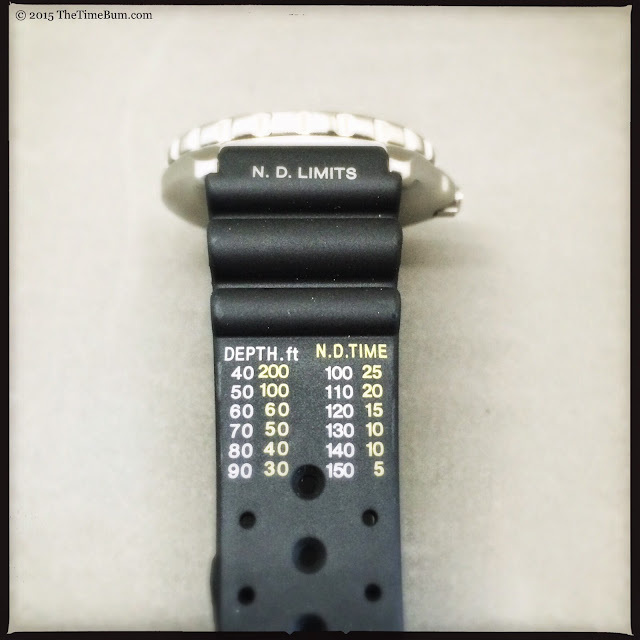 The watch comes on a synthetic rubber strap printed with the "N.D. Limits" chart. This stands for "no decompression" indicating the range within which a diver can rise to the surface without rest for decompression. The table is taken from the U.S. Navy standards and if I dove, I'm sure this might come in handy; however, in the Time Bum's life, it has little value. I will say that I was surprised to see the strap has tubes in the spring bar holes, an uncommon feature at this price point. It wasn't long before I had tried the watch on several different straps. It's neutral color palette gives it a chameleon-like quality allowing it to wear many colors well, but I was most satisfied when I could play off the green in the lume, either with a compatible color like dark brown or by highlighting it with another green. One nice side effect of the rounded case is the fact that it has no edges to catch or scratch a pass-through strap. 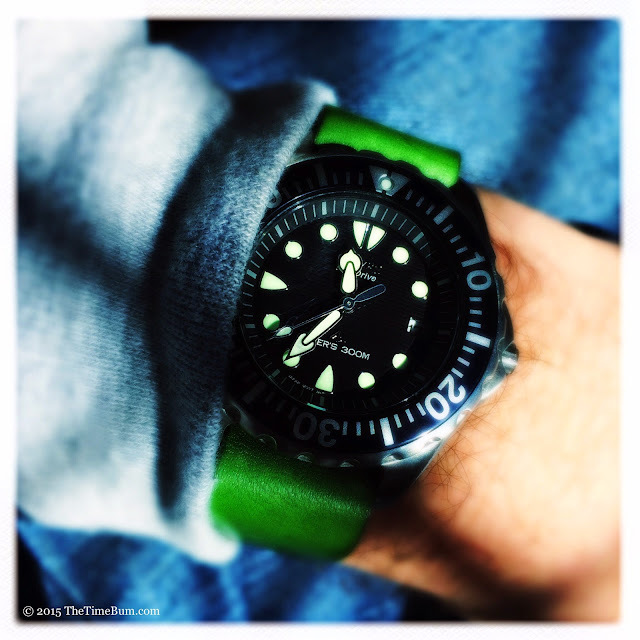 I find I wear it on leather most often, like the intense Palm Green on the J. 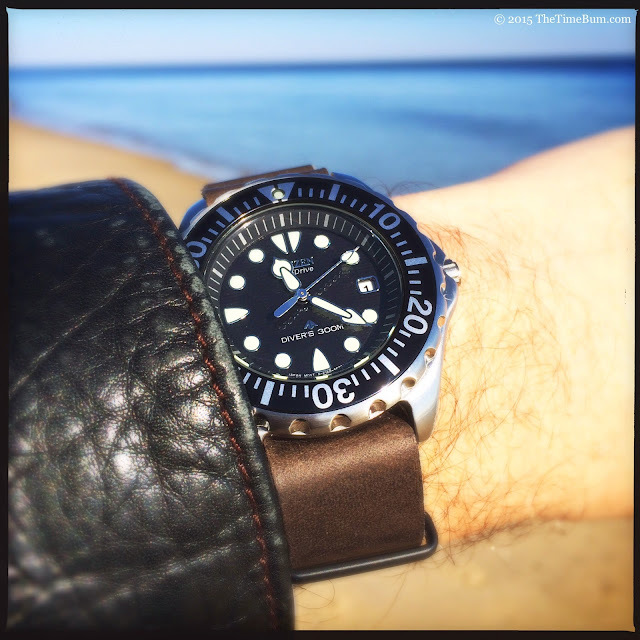 Grants or the brownish Black Vintage from Cheapest NATO Straps. Heading to the beach? Then it's time for some nylon NATOs. 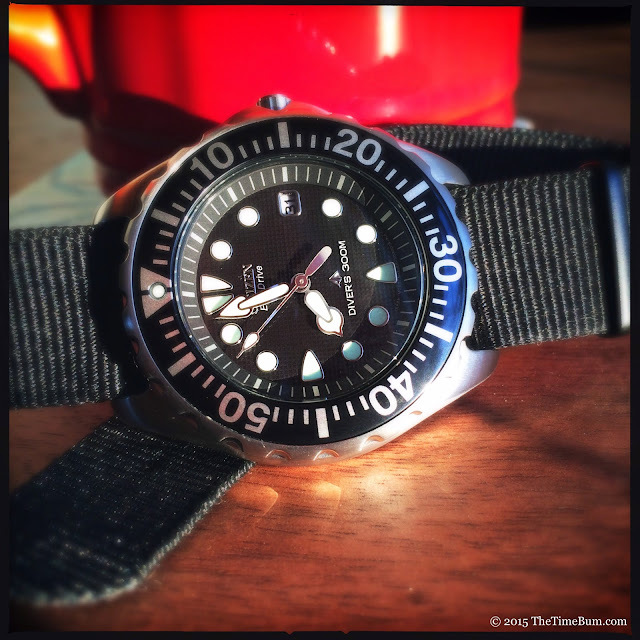 It is fun to change it up, and it underscores the fact that this is a very easy watch to live with on a daily basis. Given its modest size, you could even pair it with a more buttoned up strap and wear it to the office. 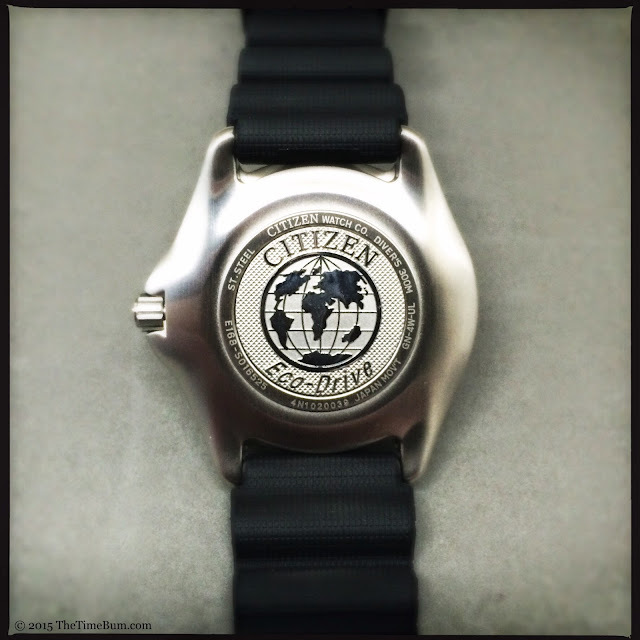 Citizen lists an MSRP of $275, but there is no reason to pay that much. The -04H is easily found online for about $160. 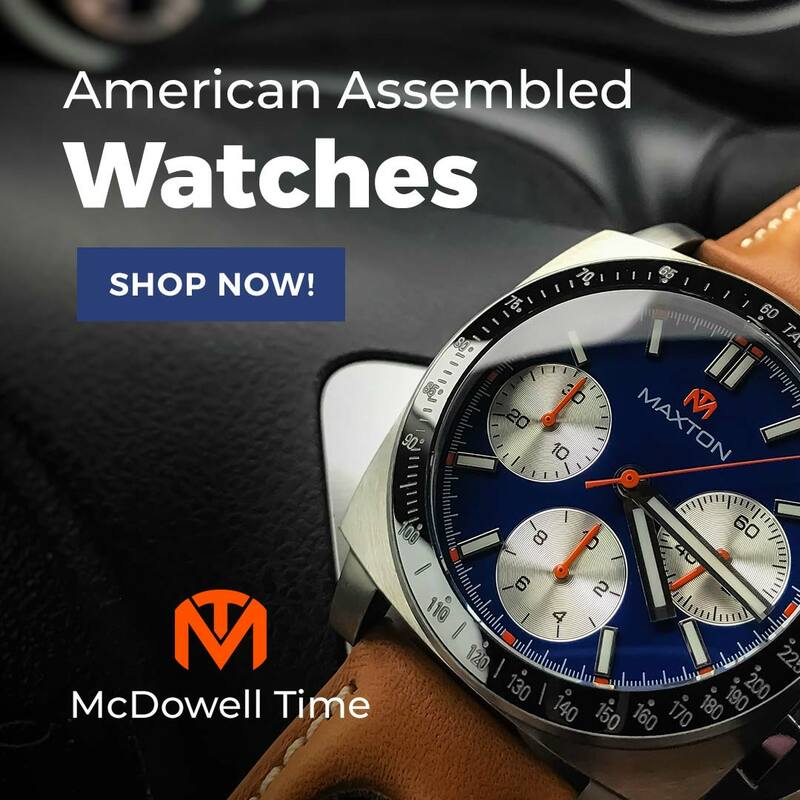 This is a great price for such a versatile and capable watch. I plan to make mine my summer watch and subject it to as much sun, sand, and surf as my life will allow. Stay tuned. Pro: Super cool monocoque case. Sum: All joking aside, this is a fantastic watch and irresistible for the price. The Time Bum approves.